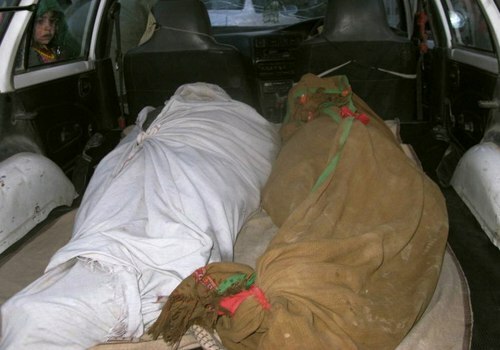 PAN, Feb. 17, 2010: The bodies of a dozen people killed in a NATO air strike in Marja district two days ago were handed over to their families for burial in southern Helmand province, residents said on Wednesday. A Marja dweller, who visited the hospital to receive the bodies of his relatives, said he lost 10 members of his family in the strike. "No one attacked foreign forces from our house and there were no fighters hiding in our house," he explained. A NATO airstrike in Afghanistan mistakenly killed 27 civilians, the government said on Monday, hurting a campaign to win over the local population and defeat Taliban insurgents. The Afghan cabinet condemned the killings as "unjustifiable" after an aircraft fired on civilians, mistaking them for insurgents, in the south near the border of Uruzgan and Dai Kondi provinces. Civilian casualties have caused friction between the government and foreign forces, who have launched two big offensives in the past eight months in a bid to turn the tide of a growing Taliban-led insurgency. Initially the Afghan cabinet reported 33 deaths, but later clarified that 27 had died. Sunday's toll was still the highest number of civilian deaths in months. The incident was not part of Operation Mushtarak, a major NATO-led campaign to clear Taliban militants out of neighboring Helmand province in the south. Nonetheless, it could still undermine government and NATO efforts to win over civilians under a plan to wrest control of Taliban bastions and hand them over to state authorities before the start of a gradual U.S. troop withdrawal in 2011. "Initial reports indicate that NATO fired Sunday on a convoy of three vehicles ... killing at least 27 civilians, including four women and one child, and injuring 12 others," the Afghan cabinet said in a statement. The NATO-led International Security Assistance Force (ISAF) said in a statement civilians had been killed as they approached a joint NATO-Afghan unit, but did not say how many. An investigation has begun, it said. "We are extremely saddened by the tragic loss of innocent lives," U.S. General Stanley McChrystal, commander of NATO forces in Afghanistan, said in the ISAF statement. "I have made it clear to our forces that we are here to protect the Afghan people and inadvertently killing or injuring civilians undermines their trust and confidence in our mission." McChrystal's counter-insurgency strategy emphasizes seizing population centers and avoiding combat in built-up areas whenever possible to avert civilian deaths. The number of civilians killed by NATO troops has declined since he took command in mid-2009. U.S. Marines say they have been extra careful not to put civilians at risk in their assault in Marjah in Helmand, Afghanistan's most violent province. This has at times prevented them from acting more decisively. 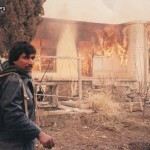 At least 12 people were killed in a poorly targeted rocket strike the day after Operation Mushtarak started this month. A total of 21 civilians have died in the NATO offensive, ISAF said. While NATO forces appear to have made significant progress in the offensive -- a test of U.S. President Barack Obama's troop surge strategy -- their push to clear out the Taliban has at times backfired. "People still complain about how the house searches are being conducted. The joint forces should not view every person here with suspicion of being a Taliban or a relative of one," said Abdur Rahman Saber, head of a local council established before the Marjah offensive to monitor the plight of civilians. "When the government and its foreign allies want the people on their side, they should respect every resident here. People should not feel any sense of insecurity from Afghan or foreign troops." 12.06.2007: US-led forces kill seven Afghan police during a "friendly fighting"
Red Cross says Afghan conditions is worst in 30 years.